The four team possession drill is an excellent way for players to practice keeping possession of the ball in tight spaces. In addition, it’s a very fun and competitive game to play with four teams. 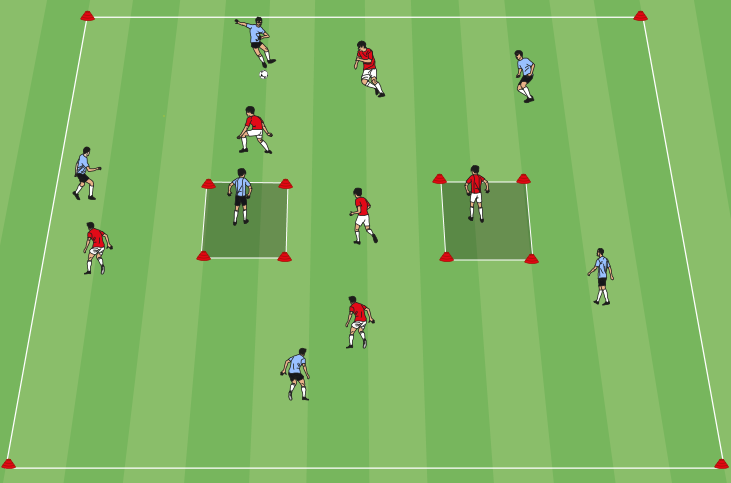 The three grid possession drill is a great game to get players sharp on the ball, linking up with teammates, and delivering quality passes. Two teams against one is a simple keep away drill that is very effective to help players work on keeping possession of the ball. This is an excellent variation of a rondo keep away drill where if the defenders win the ball, they can keep possession with players on the outside of the grid. In defense drops two, the offensive team has a numerical advantage because the defense must drop two players off of the field. 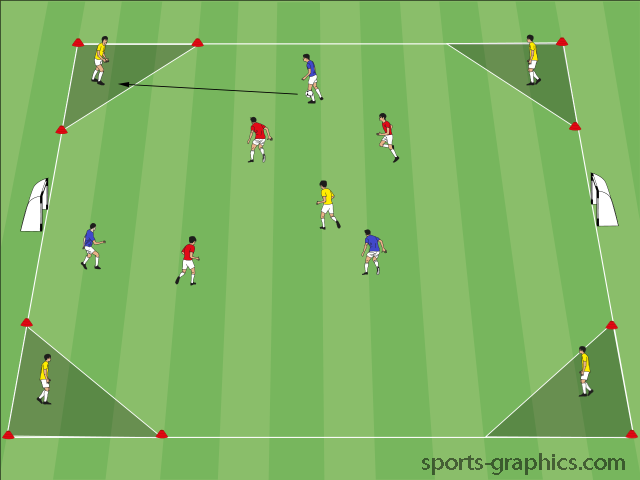 Mini goal game with neutrals is a great game for players to work on keeping possession of the ball because they have lots of passing options with neutral players around the outside.